Found 8 file extension associations related to Articulate Presenter and 2 file formats developed specifically for use with Articulate Presenter. Articulate Presenter makes it easy for anyone to add interactivity and narration to PowerPoint slides. Just click a button to turn your presentation into a compelling Flash course. At Articulate, we're e-learning specialists. That's why you'll find everything you need in Presenter exactly where you need it. You'll reach your audience fast, and you'll make your point with power. Articulate Presenter saves your content in the universally accepted Flash format, so it runs on any Web server or LMS (plus our Articulate Online service). It also creates SCORM and AICC-compliant content so you can easily track results on your LMS. 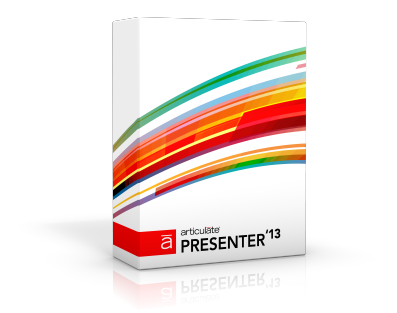 If you need more information please contact the developers of Articulate Presenter (Articulate Global, Inc.), or check out their product website.